Our Joint Research Center is currently hosting a workshop series “Tsinghua Meets X“, inviting logicians from another university (the value of X) to introduce their researches at our center. Here is a list of event in this series. 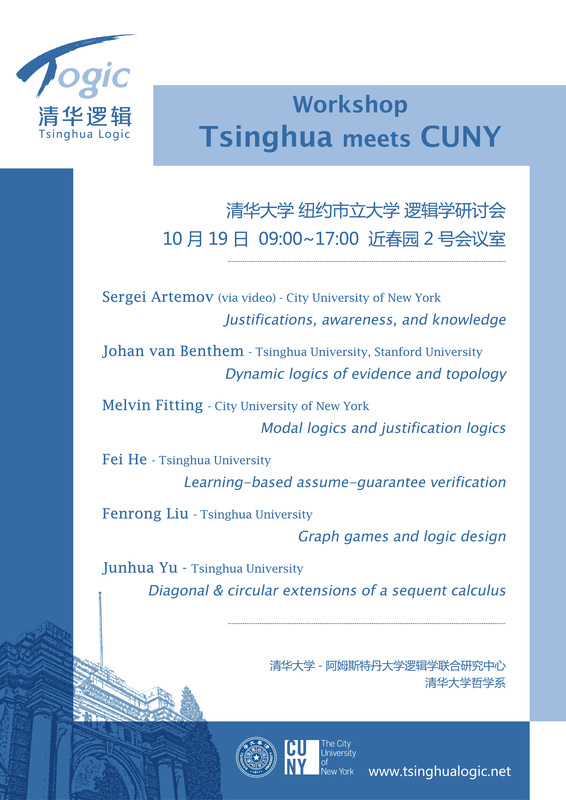 2018 Oct. 19, 09:00-16:50 @ Jin Chun Yuan, Tsinghua University. Speakers: Sergei Artemov (CUNY), Johan van Benthem (Tsinghua/Stanford), Melvin Fitting (CUNY), Fei He (Tsinghua), Fenrong Liu (Tsinghua), Junhua Yu (Tsinghua).